Asus has unveiled its latest Eee PC Dual Core Atom netbooks – with the 1015PEM and 1018P both featuring the Intel N550 processor. The headliner is the 10.1-inch £349 1015 brings a brushed aluminium design and is available in red, blue, black and white – but it is the ultra-slim design (18-21mm width) that is likely to turn heads. 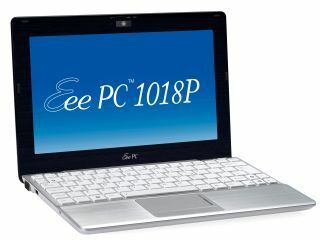 "The Eee PC 1018P is ultra-slim for a sleek, curvaceous design that is as elegant as it is portable, asserts Asus' release. "With a sophisticated brushed-aluminium casing, it is sure to silence complaints that netbooks are unattractive." The second laptop is the Asus Eee PC 1015PEM priced at £279 which offers the Intel Dual Core Atom N550 along with webcam, Bluetooth 3.0 and WiFi 802.11n. Both the 1015PEM and 1018P offer USB 3.0 ports – for much faster data transfer. "The tiny 10.1 inch ASUS Eee PC 1015PEM and 1018P are the first netbooks available to sport the latest Intel Atom 550 dual core processor – making them dazzlingly fast with a performance rating that easily surpasses other Atom based netbooks," adds Asus. "Such hefty processing prowess means the Eee PC 1015PEM and 1018P can easily handle power-hungry applications such as Adobe Flash and games, broadening entertainment options to include high definition YouTube videos or popular flash-based games on the Internet." The laptops have a UK release date of this week and will be available in PC World.